Shubhkamna City project is here in Greater Noida West i.e.in Noida Extension to deliver shubhkanma for your dream home. Some people knows Greater Noida west by the name Noida Extension. In 1990s it was a part of Noida. Due to rapid growth in Delhi’s economical Government of India decided to spread Delhi NCR up to Greater Noida West. Delhi is a capital of India. Delhi attracts many people for their carrier and education. For their carrier and education everyone wants to settle down here. That’s why population of Delhi is increases frequently. To protect Delhi from this demographic burden Govt. of India has decided to use neighbor state area as Delhi National Capital Region. At starting they use the border area across Haryana i.e. called Gurgaon and border area across UP i.e. called Noida as Delhi NCR area. After that Greater Noida came to be a part of Delhi NCR. But more requirement of space to protect Delhi from burden gave rise to Greater Noida West. Real Estate in Greater Noida West is growing like running speedily in the field of games. Many companies are there in Greater Noida West offer services for Real Estate. RealtorProp is one of the best companies among all. If we go at some new place then we hire guider to get idea about that location. Similarly RealtorProp is here to guide you about properties at this location. RealtorProp is like a teacher for you to teach the best about properties in Greater Noida West. RealtorProp is in growth this time for the project named as Shubhkamna City Project at Noida Extension. This project is located at Plot No.GH-02/A, Sector 1, Greater Noida West i.e. Noida Extension. This project is a Group Housing Project of GAPSEWHO dedicated fully to Government / PSU employees. Shubhkamna City project is an under construction project offer 2/3 BHK apartments having area 880 to 1675 sq. ft. There are G+11 floors with all modern amenities. The design of structure was developed by IIT engineers. If you are looking for a home in Greater Noida West then book your home today at Shubhkamna City. Booking will be cheaper now because it is still under construction. 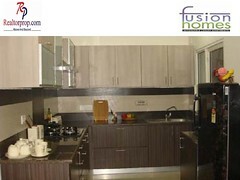 After completion you will get well ventilated and fully furnished home. Earthquake resistant RCC framed structure was designed to develop these apartments. Good qualities of titles and stones are in use for walls and floors of rooms, kitchen and toilets. ISI approved materials being used to produce solid apartments. All modern amenities like playground, club house, water/gas/power supply, Wi-Fi connectivity and video security is here.